your mind exists in the future. 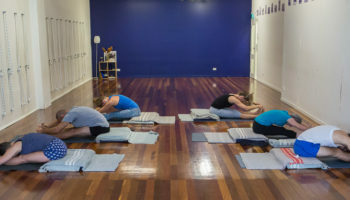 present when you practice yoga"
Lismore Yoga Studio offers a range of classes in Iyengar Yoga. To book classes online click here. BEGINNER classes are suitable for all ages and fitness levels. They are ideal for those with no yoga experience, or those wanting to consolidate the basics. 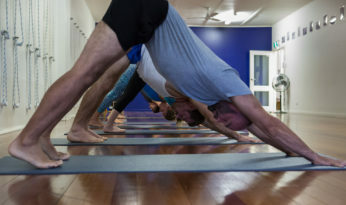 The Beginner class runs as a 10 week course.The course introduces the basic principles and foundations of Iyengar yoga in a structured and safe environment. Here’s a perfect opportunity to try out or return to an Iyengar Yoga class. Please tell anyone you think might be interested or bring a friend along to the class. No bookings required. Please arrive 10 minutes before the class starts. The next Beginner course starts on the 30th April 2019. Level 1 classes are for those who have 3 months prior yoga experience and/or have completed the Beginner course. Students need a minimum of 10 weeks Iyengar yoga experience. Students will continue to deepen their understanding of the poses & consolidate and expand on the foundation postures.Classes will include shoulderstand and start to build a foundation for headstand. It is recommended that you attend one or two classes each week to progress and evolve your practice. Level 2 classes are for those who have 1-3 years prior yoga experience. Classes include backbends, inversions, pranayama, headstand and shoulderstand. Classes begin with chanting “Om” and the invocation to Patanjali. Students need a minimum of three years of regular yoga attendance at Iyengar Yoga classes. Your home practice will include inversions and backbends. Classes begin with chanting “Om” and the invocation to Patanjali. Backbends, inversions & pranayama are practised regularly. Balancing poses and other advanced asanas are introduced to create challenges to expand the student’s consciousness and capacities. It is recommended that you attend the led practices each week in addition to your home practice. The two weekly LED PRACTICES are intended senior students and teachers with several years of yoga experience. Please contact the studio before attending. 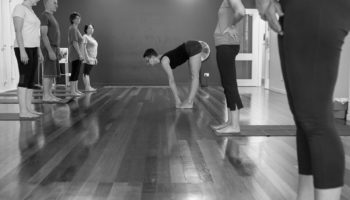 It is a perfect opportunity to challenge and develop your personal practice as you explore some of the more advanced backbends (Friday) and arm balances (Tuesday) variations under the guidance of a teacher. It is an ideal environment to integrate your yoga knowledge and observation skills. Asana names are called and demonstrated, but there is no instruction. Private classes are available at the studio. One hour classes cost $85. Please contact Julie for further information. 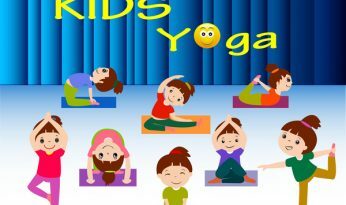 Lismore Yoga Studio’s children’s yoga classes are a delightful way for kids to learn about balance, breath and well-being in a supportive yoga environment. In a child-friendly and informal environment, children between 7 and 12 years of age can learn and appreciate yoga the Iyengar way. The classes are playful, challenging, sportive and relaxing! The class ends with a guided relaxation. Yoga for children courses run during the school terms and break during the school holidays. BKS Iyengar. The practice of Iyengar Yoga is characterised by precision and alignment, planned sequencing, timing and the use of props. Practice builds strength, stamina, balance and flexibility, which bring a sense of freedom and balance. The use of props makes Iyengar Yoga accessible to people of all ages by facilitating alignment and support in practice. With practice, awareness is developed and the mind is trained to focus on the present moment. This allows practitioners to experience quiet and stillness. The Iyengar Yoga Teacher Certification (pictured below) is used under licence by certified Iyengar Yoga teachers worldwide. The mark demonstrates a commitment of the teacher to maintaining the purity, excellence and high standards of Iyengar Yoga. Certified Iyengar Yoga teachers complete years of intensive teacher training, undergo a rigorous assessment of their teaching and practice, and undertake continuing education to upgrade their certification to teach. For more info go to Iyengar Yoga Australia. I absolutely loved my second yoga retreat at Sine Cera and of course, loved your beautiful, nurturing style of teaching. I guess what I'm saying is thank you - I was already loving the experience of discovering Iyengar yoga… the weekend with you showed me a whole other level of being around it and an appreciation of the whole Iyengar practice...to say my life won't ever be the same is not to overstate the impact of your incredible teaching and the weekend. Feeling so much more balanced after our fabulous retreat! Thank you Julie for your wonderful teaching, everyone for the relaxed company (it really is a ‘yoga family’) and of course Mona for the food!! What a blessing to be able to have the ability to escape and nurture ourselves so deeply. I’m so glad that I’m practicing a yoga in your class! I often get tired and feel unsettled but practicing yoga in your class settles me down. Many arigatous (thanks) for having me in the class - and for being such an amazing teacher and a wonderful person! !